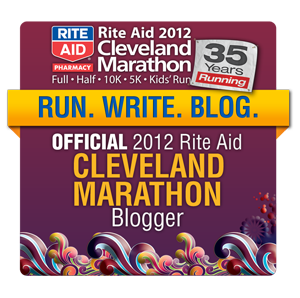 Training 4 Autism – Cleveland Style Running 4 Autism, Chilling in the CLE and having fun along the way! Black Friday – FREE Marathon Entry! Where America comes together in a mad crazy to try to get the best deal on things a) we most likely don’t need b) are only trying to get because of the perceived “great deal” or c) participating in the tribal, cult like, game of bargain hunting. Well while we are all running around – what better to offer up an opportunity to keep you running right on through APRIL 27th of 2014! As an Ambassador for the Medical Mutual Full and Owens Corning Half GLASS CITY MARATHON in TOLEDO, OH. I have an opportunity for you to run the event of your choice for free! Okay – I know you are all thinking a Full Marathon! I said the event of your choice! So what is the catch? I thought you would ask. There really isn’t one! There are a few ways to enter – and I guess if that is a catch to you – there might be a few! Total of 6 possible ENTRIES!!!!! Good Luck to all of you – I am excited to have this opportunity to provide you with this chance to run the Glass City with me! I’d love to be there with all of my Cleveland running friends! I would like to sign up for the half. My first 5k was at the glass city in 2013 and I think it would be cool to celebrate by marking the one year anniversary by running a half. I’ll be right there with ya!! So excited!!! I need an excuse to get back into training this spring! Will be running with my sister! It will be her first half!!! Yay! Who wouldn’t want to run with you? I want to beat my time from Cleveland last year and run with my wife! Not sure if my comment went through.. but I want to beat my time from Cleveland and run with my wife. I want to win a free entry into the 2014 Glass City Marathon because racing is awesome and so is free stuff. Also, Glass City is an awesome race. I would love to run the Glass City Marathon. It is a local race to me and my parents would be able to me and watch (which they have been unable to do during my first two marathons). I’ve heard great things about the run. I wanna win an entry for the half! I’ve heard fabulous things about this race and can’t wait to run it! I want to win so we can carpool together, broseph. I love this race and am looking forward to running the half in 2014. I really Wish I could have All of you win! I want to thank you for an awesome response to the contest… I have put all names and entries into the random generators and it kicked out two names… Micheal Spencer! and Mary Pat Pavicic Congrats – I will be DM’s you on Twitter!!! Saucony The Shoes I wear! Training 4 Autism – Cleveland Style.